When the two were still allies fighting Germany and Japan, the US was already drawing plans for bringing nuclear annihilation to a country which had just lost 27 million dead in the war. This Video from South Front is based on the article by Professor Michel Chossudovsky reproduced below. According to a secret document dated September 15, 1945, “the Pentagon had envisaged blowing up the Soviet Union" with a coordinated nuclear attack directed against major urban areas. The document outlining this diabolical military agenda had been released in September 1945, barely one month after the bombing of Hiroshima and Nagasaki (6 and 9 August 1945) and two years before the onset of the Cold War (1947). The secret plan dated September 15, 1945 (two weeks after the surrender of Japan on September 2, 1945, aboard the USS Missouri, see image below), however, had been formulated at an earlier period, namely at the height of World War II, at a time when America and the Soviet Union were close allies. Had the US decided not to develop nuclear weapons for use against the Soviet Union, the nuclear arms race would not have taken place. Neither The Soviet Union nor the People’s Republic of China would have developed nuclear capabilities as a means of deterrence. In the post-Cold War era, under Donald Trump’s “Fire and Fury,” nuclear war directed against Russia, China, North Korea and Iran is “On the Table”. 1. 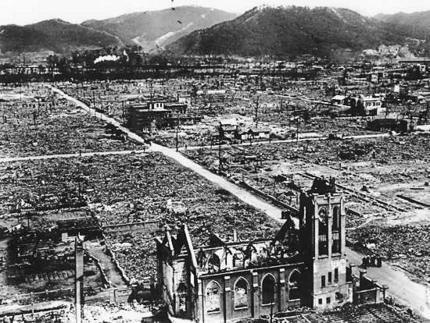 Today’s president, Donald Trump, does not have the foggiest idea as to the consequences of nuclear war. 2, Communication today between the White House and the Kremlin is at an all-time low. In contrast, in October 1962, the leaders on both sides, namely John F. Kennedy and Nikita S. Khrushchev were acutely aware of the dangers of nuclear annihilation. They collaborated with a view to avoiding the unthinkable.